Research suggests that women are excellent at negotiating for others. They are not as good at negotiating for themselves. Yet, it is clear that regardless of how you define career success, you must proactively advocate for what you want in order to realize your aspirations. Hear about the “The Tiara Syndrome” – and why falling victim to it is a career limiting move, “drive-by” negotiations and how they can hurt you as well as ways to avoid “V-8″ moments that can haunt you! Unlike most keynote presentations, this one elicits and encourages audience participation to ensure your group is involved, inspired, and empowered. 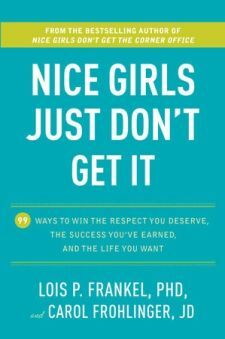 Combining insights into how old messages and behaviors impede women from getting the things they most want in life with strategies and tactics for achieving their professional and personal goals, the timeless message is appropriate for women of all ages and life stages. The secrets to negotiating successfully – believing that you can be successful, being proactive and being well prepared are the three keys to getting great outcomes. Hear about women who took charge of their careers- and their lives – using negotiation as the way to shape their futures. The United States has fallen behind many European countries when it comes to the percentage of women in the work force, costing organizations competitive talent, customer and brand loyalty, and, in turn, money. Japan, Switzerland, Australia, Germany and France now outrank the United States with its 69% prime-age women’s labor force participation. This keynote talk, delivered with humor, insight, and absent blame, will address the reasons women are increasingly leaving the corporate workplace and provides practical advice for how to stem the loss. You’ll learn why, if it’s good for women, it’s good for everyone. Whether you are just starting a career or thinking about winding down, it’s important to think about how you can make an impact every day — and how you will be remembered when it’s time to move on. Hear stories about women who have changed minds and hearts through their work; they’ll inspire you to make a difference for others. Contact Carol to discuss keynotes on negotiation skills.